I've been trying for almost a year to figure out how to get the cloud-init meta-data service to work with the Ubuntu Cloud image. I've asked on misc@ and other OpenBSD groups, and no one has an answer. The documentation is vague. If anyone ever figures out how to configure meta-data, let me know. I'd still like to give it a shot. Last week, I rescued a server from a pile of computers destined to be scrapped and recycled. For me, it's the perfect setup for getting serious with OpenBSD VMM in my home lab. 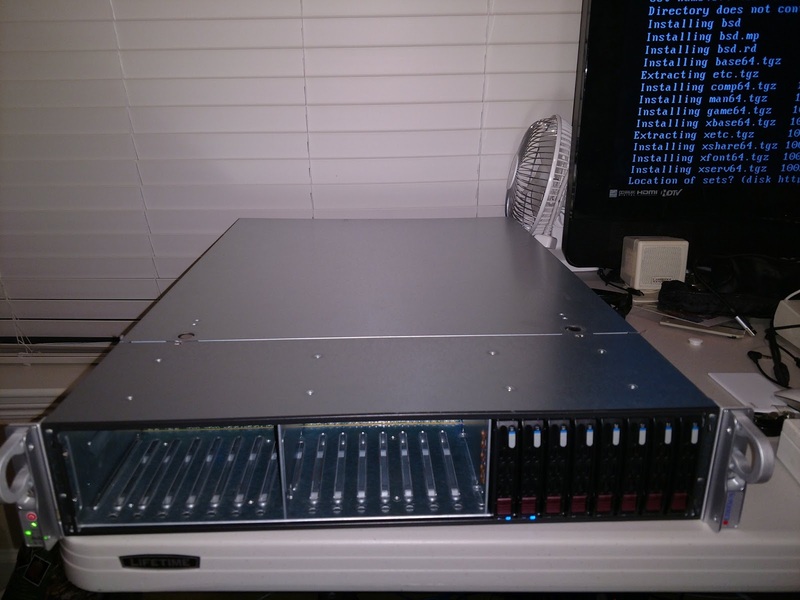 Two older Xeon E5-2620 CPUs and 128 GB of RAM. No hard drives, but it came with enough empty drive trays for getting started. I threw a pair of old SAS drives into it. 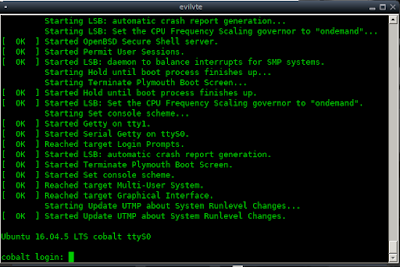 No surprise, OpenBSD just worked. This renewed my fervor for replicating a bunch of my cloud instances at home, and there's a lot of Ubuntu in use. Download Ubuntu Server. I've actually used both 18.04 LTS and 16.04 LTS. I'm focusing on 16.04 for this because that's what I'm running on most of my EC2 instances. Install Ubuntu as usual. I didn't bother adding anything other than the SSH server during installation. qemu is really slow on OpenBSD, but it works... eventually. When the install is done, shut down and then restart qemu without the installation ISO attached. Log in with the user-level account you created. There are only two things to tweak before it's ready to run in vmm: Configuring the serial console, and the network interface. Under qemu, Ubuntu sees "ens3" as the network interface. Under vmm, the network interface is "enp0s3". Change "ens3" to "enp0s3" in /etc/network/interfaces if you're using 16.04. On Ubuntu 18.04, you must instead change the "netplan" config file in /etc/netplan/50-cloud-init.yaml with the same kind of change, ens3 to enp0s3. Shut down qemu again. Your disk image is basically ready to go under vmm. To save the trouble of having to mess with qemu again, I recommend creating derivative images of the one you just created, and using those for vmm. For more information about setting up switches and networks in vmm, see Part 2 of my VMM series. Although the configuration files you must edit to make it work might vary, you can do the same thing and it may very well work for text-mode-only distributions. I actually didn't need to use qemu to get arch linux installed in vmm, but it was somewhat tedious to do entirely in vmm, and it took me a few tries to get it right. Qemu might have been easier. With OpenBSD 6.4, the VMM hypervisor got support for qcow2 disk images. This format is used by QEMU, but it has several features that make it a better choice than raw image files. The images are dynamically-allocated, so the disk image file grows as you use more space instead of taking up the entire filesystem size when the image is created. It won't ever shrink, though. "Derived images" are also supported. While VMM doesn't officially support snapshots yet, you can kind of get away with using derived images to do something similar. I'll cover that toward the end of this article. You will probably want to have the networking set up on your OpenBSD VM host before you continue. That information is covered in Part 2 of my VMM series. Start the VM using your bsd.rd as the boot image, then follow the installer prompts. When the install is done, rebooting will just bring the installer back. Exit to shell instead, type "halt -p" and use the ~. command sequence to exit the VM. Anything else you press will probably reboot the system (back into the installer). Now you have a pristine, freshly-installed OpenBSD image to start from. WARNING: If you make any changes to the base image, all derived image files it was based on will become corrupt and unusable. You can remove write access to the base image if you want. The VMs relying on derived images will run fine. 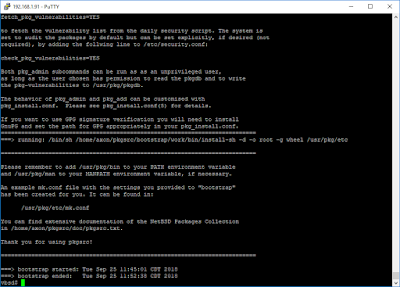 Now, create a VM in /etc/vm.conf with the new obsd64-test1.qcow2 image file. All changes will be stored in this new image file. The original filesystem image will remain unchanged, and you can make as many derived images as you want from it. For snapshot-like functionality, you can make a copy of your derived image and save it with another file name in the same directory. You should shut down the VM before you do this, though. To restore, just copy it back over the derived image, or create a new vm clause in /etc/vm.conf pointing to your saved derived image file. You can run multiple VMs at the same time, with different derived images from the base image as well. If I create a new derived image file and add a vm clause for it, both VMs can run at the same time. Reload vmm, and start up your VMs! You can attach to the consoles of each to see that they're running. Remember that you can use the [RETURN]~. key sequence to exit the console. OpenBSD has, arguably, some of the best officially-maintained documentation of any modern operating system. Solene Rapenne added a new FAQ section for Virtualization that covers getting OpenBSD's VMM hypervisor off the ground, and it gets the basics out of the way pretty well. The FAQ kind of glosses over the more elaborate network configuration schemes, one of which I covered in Part 2 of my VMM article a while ago, though if you poke around between the FAQ and man pages, you can find pretty much all you need. There are some new features to VMM which I plan on writing about soon. Stay tuned! Sandboxes isolate processes in such a way as to prevent them from causing systemic harm, and because of the way modern antiviruses work, many of them have proven vulnerable to targeted arbitrary code execution attacks -- that's right, proof-of-concept malware exists that can exploit the antivirus suite! This is a major step toward improving the security of the Windows platform, and as far as I can tell, Defender is the first in its class to adopt this sort of fortification. Right now, It's not set up by default. I'd imagine that may change in the near future. Users can also force the sandboxing implementation to be enabled by setting a machine-wide environment variable (setx /M MP_FORCE_USE_SANDBOX 1) and restarting the machine. This is currently supported on Windows 10, version 1703 or later. 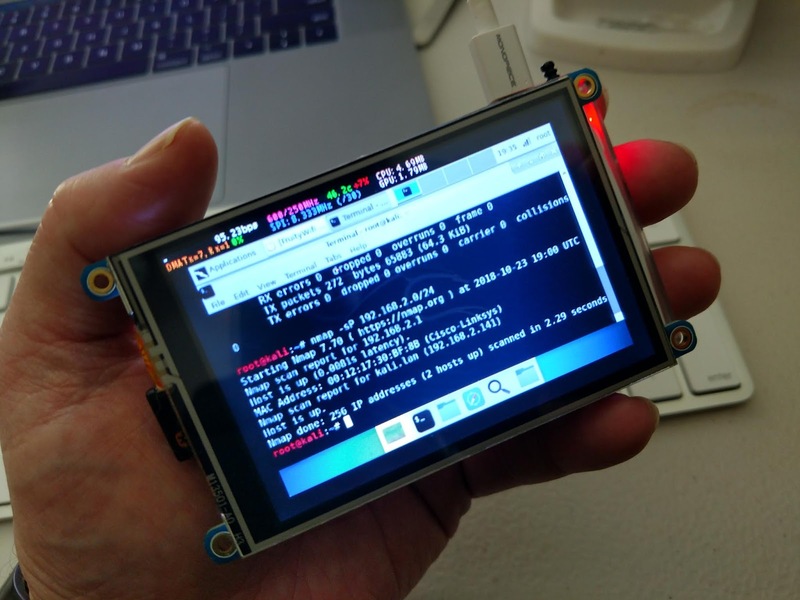 Earlier this week, I saw this hot tip from Hack A Day with regards to a high-performance driver for SPI-driven displays on the Pi. 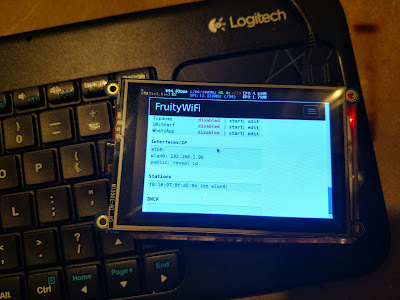 That article was published just as I had been digging into getting my Adafruit 3.5" PiTFT display working under Kali so I can run FruityWiFi and other tools with a super-portable kit. 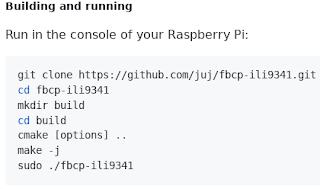 I've had the PiTFT working under Raspbian for years, but Kali isn't Raspbian, and I remember that getting it working the way I wanted, even with the Adafruit helper tool, was somewhat of an ordeal. Although a number of folks (e.g. re4son) have published unofficial Kali images for the Pi, some of which claim to work with various add-on displays, I tried and a few and failed to get them to work properly, if at all, even without the display. I started with a fresh official Kali Linux 2018.3 RaspberryPi 2 and 3 image. 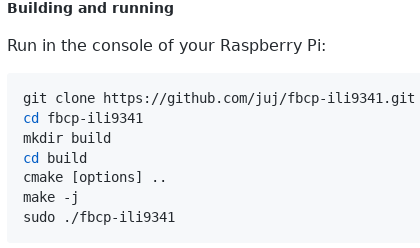 The fbcp-ili9341 driver doesn't work out-of-the-box on Kali, either, but getting it up and running wasn't too hard. It doesn't support touch input yet, but for me, Kali requires at least a keyboard, and my trusty Logitech K400r (affiliate link) is always nearby. One thing I like about framebuffer copy (fbcp) is that you can have the Pi plugged into HDMI (or not...) and the video is mirrored to the TFT, but needless to say, you'll have to start with the Pi plugged into an external monitor until you get the TFT working. 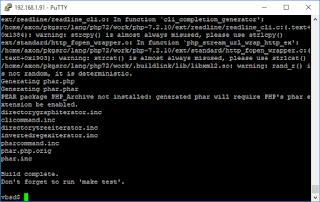 To get the driver to compile on Kali, I had to download libbcm_host.so, libvchiq_arm.so and libvcos.so from the opt/vc/lib directory of the RaspberryPi Git repository (or you could copy them from a running raspbian host or SD card). run ldconfig to reload the library cache. I opted to enable automatic login (as root) on this since it's basically a plug-in-and-go appliance. I followed this quick guide. Reboot to test it out. You should see a white screen (or whatever was on the screen before rebooting) for a few seconds, then the backlight should go out until rc.local is executed right before it goes into GUI mode. Finally, I created a "backlight.sh" script that handles setting the brightness. You'll need to make this executable, too. Syntax is basically "./brightness.sh (percentage)" where 0 is off, 1 is very dim, and 100 is full brightness. OpenBSD 6.4 was released last week. It comes chock full of new goodies, including a built-in Wireless network manager ('join' syntax for ifconfig), derived snapshots for vmm virtual machine disk images (based on qcow2 support), improvements to pledge including the addition of unveil, and RETGUARD, a new stack protector for thwarting ROP attacks just to name a few new features. 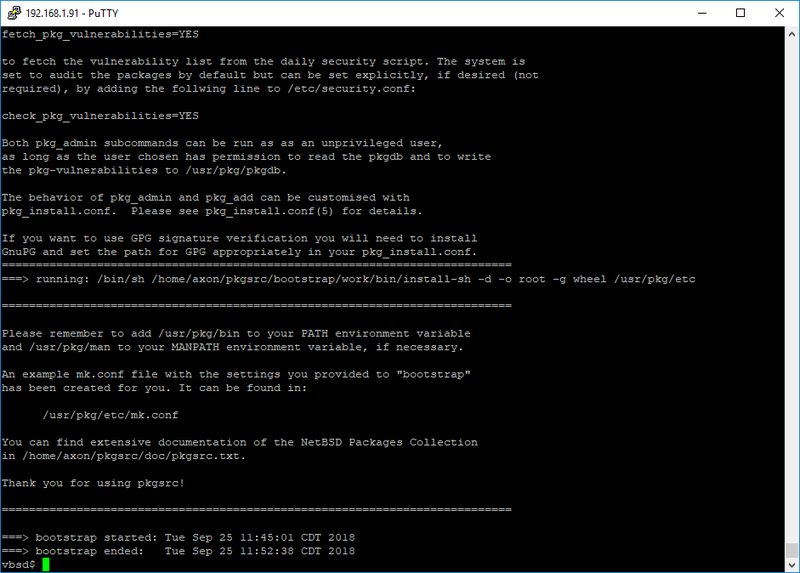 I've been busy with the new job and getting settled into the new digs here in the Austin suburbs, but I carved out some time to update the OpenBSD/HTTPD/MySQL/PHP guide. 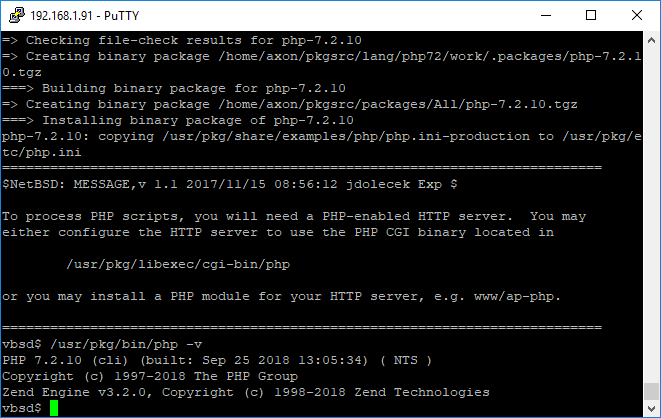 There are a few changes to how PHP-FPM is configured, so you may want to pay close attention if you've followed the guide before. The nginx and apache pages haven't gotten that many views lately, so I am not updating them this go-around. 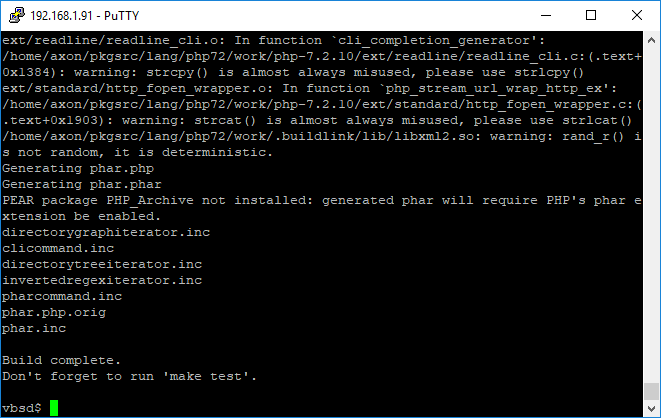 The httpd in OpenBSD's base install is a pretty well-proven web server at this point, and I've been using it in production, reliably, for years now. 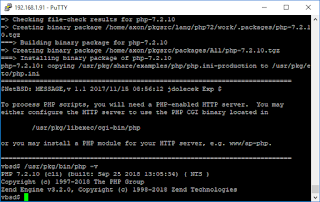 If you're thinking of running nginx or apache on OpenBSD, I'd urge you to take a look at httpd.